How many times have you tried to beat a traffic jam? Crane your neck to look up ahead at why you aren’t moving and then move into the lane which starts to move. Thinking this will give you an advantage and you will beat the traffic. In the end, all of the neck craning and lane-changing does little to help you get to your destination faster. Instead, you end up wasting lots of energy, putting yourself at risk of getting into an accident and causing all sorts of undue stress. Investing isn’t all that different. One minute, the market is cruising along; the next a debt flare-up in Europe or a bad manufacturing report in China or a weak jobs number cause a downturn. Just as in those traffic jams, most people panic and do whatever they can to avoid the short-term pain and worry they feel. People lose all rational thought processes and become sheep, following the next person who doesn’t know any better. They jump from one asset or sector to another to try and guess the upwards motion. They listen to the TV, Internet, neighbours and friends, trying to outsmart the market. In the end, all of the short-term moves leave them no closer to their financial goals. In fact short term moves often lead to selling low, incurring unnecessary trading costs and a lot more stress and anxiety. It’s hard, but rather than trying to outsmart the market in the short-term, put your faith in long term strategies. Staying invested in the market over the long term has historically paid off. Although short-term fluctuations seem random, the stock market grows in line with the growth of the economy in the long run. Long term investing can help cut down emotional mistakes. By acknowledging that short-term dips are going to happen you don’t drive yourself nuts trying to miraculously avoid them. If you tend to jump in and out of the market based on how the market is behaving, you’ll run the risk of missing out on those powerful rallies that can catch you unawares. Putting your money in long-term rather than short-term investments provides tax advantages on capital gains. Long-term investing might also save you other expenses, such as transaction costs from active trading. You are never going to be able to time the market. In this day and age of technology and advanced communication things happen very quickly. You will end up losing money trying to time the market just as you lose time and energy trying to beat the traffic jam. You need to be comfortable the timeframe you have for investing matches the investments you choose. 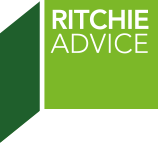 If you would like to discuss your investments or choices, the staff at Ritchie Advice would be more than happy to help. Please note that parts of this article has been adapted from Forbes and The Educated Investor.